Opened in 1976, the Metro's network has grown to include five lines, 86 stations across 171.1 kilometres. Metro is the second-busiest rapid transit system in the United States in number of passenger trips, after the New York City Subway. 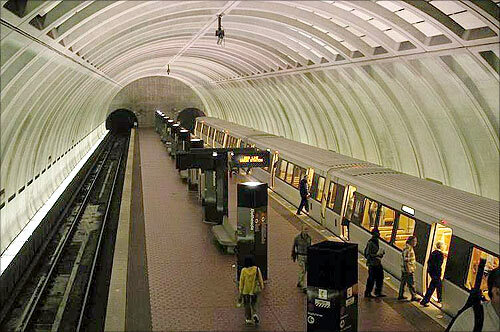 Highlighting the late-20th century modern architecture, Metro stations were designed by Chicago architect Harry Weese.